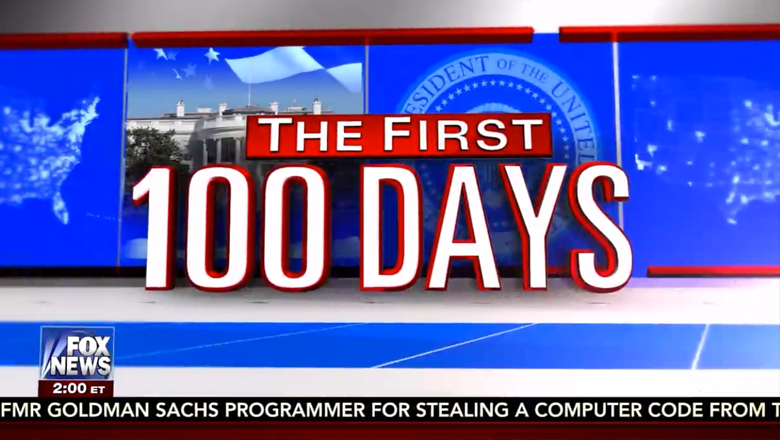 Fox News Channel’s “The First 100 Days” debuted from the network’s new Studio F, becoming the first show to call the space its permanent home. The show originates from the studio’s second-floor balcony, with a window serving as the primary anchor background and the “video chandelier” serving as a backdrop for guests. The show, hosted by Martha MacCallum, replaces “Tucker Carlson Tonight” at 7 p.m., which moved to 9 p.m. into the slot vacated by Megyn Kelly’s “The Kelly File.” Kelly departed the network for NBC News earlier this year. While Studio F, designed by Jack Morton PDG, was used extensively for the network’s election coverage, including serving as temporary home for many of the network’s programming, “The First 100 Days” marks the first show to call the studio home. However, somewhat ironically, the show, at least under its current title, is only temporary, though the show could easily live on under essentially the same format after 100 days of the Trump administration have passed.